SEATTLE – The Seattle Sports Commission (SSC) kicks off spring with two additions to its team – David Gravenkemper, Director of Business Development, and Amanda Streams, Director of Events and Sports Development. 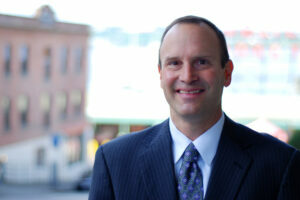 David Gravenkemper, Director of Business Development at the Seattle Sports Commission. Gravenkemper brings more than 20 years of business development and sales management experience to his position as Director of Business Development, including account executive roles with several professional sports teams including the Seattle Mariners. Prior to joining the Seattle Sports Commission, Gravenkemper served as Head of National Ticket Sales for the Australian Baseball League in Sydney, Australia. Before that, he spent nine and half years with his alma mater, the University of Washington, as Associate Athletic Director of Ticket Sales and Service. There, he worked closely with the UW Tyee Club to drive ticket sales and cultivate donations, helping to pave the way for the Husky Stadium renovation. In his new position, Gravenkemper will be responsible for generating revenue and securing sponsorships to support major sporting events to Seattle. 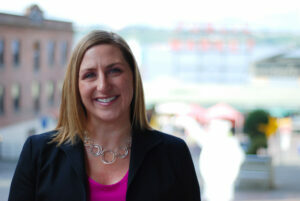 Amanda Streams, Director of Events and Sports Development at the Seattle Sports Commission. As Director of Events and Sports Development, Streams brings extensive experience in international event management, sports marketing and hospitality to her role at the Seattle Sports Commission. She joins the SSC from Seafair, where she served as Director of Operations responsible for producing the 66th and 67th annual festival events. Streams’ responsibilities included overseeing venue builds for Seafair events, as well as master timelines, entertainment, and production, and management of volunteers and staff. Streams spent her early career as a sports coach and later applied her passion for sports to roles in logistics, transportation, and venue management at the United States Olympic Committee and multiple organizing committees for the Olympic Games. In addition, she brings relevant event and sports experience from roles at NFL Super Bowls, ESPN X Games, and Great Outdoor Games. In her new role, Streams will be responsible for leading all Sports Commission events, including Urban Trek and Seattle Sports Star. In addition, she will be charged with developing comprehensive bids for prospective major sporting events in Seattle. For more information on SSC events, business opportunities, initiatives, and programming, visit https://www.visitseattle.org/seattle-sports-commission/. Visit Seattle has served as the official destination marketing organization (DMO) for Seattle and King County for more than 50 years. A 501( c ) 6 organization, Visit Seattle enhances the economic prosperity of the region through global destination branding along with competitive programs and campaigns in leisure travel marketing, convention sales and overseas tourism development. Nearly 40 million annual visitors spend $6.8 billion in the city and county each year. The economic power of travel and tourism generates 73,000 Seattle area jobs and contributes $692 million in annual state and local tax revenue. Visit www.visitseattle.org.